New Sigma Guitars at Guitarbitz Guitar Shop! Have you heard of the acoustic guitar brand, Sigma? If not then you most definitely should have! They offer some of the best acoustic guitars we've tried in a long time and what's great is they are cheap which gives you amazing value for money. Let me make this clear... they're NOT cheap in terms of quality, they just don't cost a lot to buy! Quality and attention to detail are absolutely supreme which yields an amazing end result for you, the player. They specialise in electro acoustic models too and of course they all use brilliant Fishman systems. You may recognise them to look very, very similar to another famous brand called Martin, and they do! They are allowed to produce replicas or copies of Martin guitars but as they're made in the far east rather than the Americas the prices are far, far cheaper! 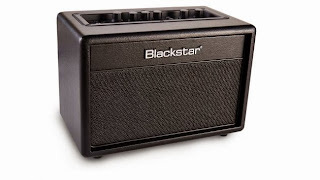 Blackstar ID:CORE BEAM Bluetooth 4-in-1 Guitar Amplifier! If you haven't heard of the all new Blackstar ID:CORE BEAM yet then you're missing out as this is without doubt one of the best guitaring gadgets of the year! This Bluetooth 4-in-1 amplifier lets you use your electric guitar just like normal with all the classic features like gain voices, ISF, built in effects and USB connectivity, but on top of this you can also plug in your acoustic guitar, bass and stream music to it via Bluetooth! With specific channels for the different instruments you can get a brilliant sound for each. If you took an acoustic guitar or bass and plugged it into a regular electric guitar amp it wouldn't sound overly great, but here simply press the voice button down and you have yourself a quality little acoustic amplifier! Same goes with the bass, there's two bass voices and surprisingly these have a lot of bottom end and punch, which is amazing considering there are only two little 10w speakers! New In: Fender David Lozeau Art Stratocaster! If you love something a bit whacky then listen up as you'll love this new Fender David Lozeau Art Stratocaster in the stunning Sacred Heart finish! Under the hood it's a simple, made in Mexico, Standard Strat which makes it nice and cheap but it's got one of the best paint jobs we've seen in a while, probably since the Fender 'Swirl' Telecaster! 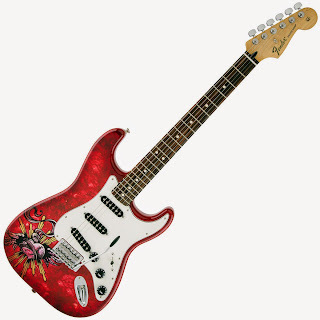 Fans of bright, cartoon, comic book style drawings will love this guitar, it's so vibrant and will certainly catch the eyes of your audience! This electric guitar sounds just as a Strat should, excellent for blues, rock, jazz or any style you want to throw at it. The neck and neck-middle positions are so punchy yet smooth and creamy, very SRV sounding! While the bridge and bridge-middle have that classic snappy, treble tone that's great for power chords and even a bit of country! If you’re in need a guitar and amp to gig with but don’t have much more than £500 to spend then we have some awesome suggestions for you! You may think that a good quality set up, that can compete with a full band and drum kit, may cost a lot of money but actually it can be done fairly cheaply and still sound awesome! To ensure the amplifier can accommodate lots of different playing styles and genres, as well as keeping the cost down, we’re going to go for ones with built-in effects. With these you’ll get a huge number of sounds to suit your individual needs and most brands offer something that’s going to be loud enough to get over the volume of those loud, annoying drummers! If you found this information useful, please share it on Facebook, Twitter and Google. Boss delay effects pedals have become somewhat of an industry standard, ‘go-to’ choice of many guitarists world-wide. The DD-3 has been used by loads of famous artists and is a great little stompbox, but does its big brother, the DD-7, provide more functionality, better sounds and a more useable interface? With users like Slash you can tell the DD-3 means business. 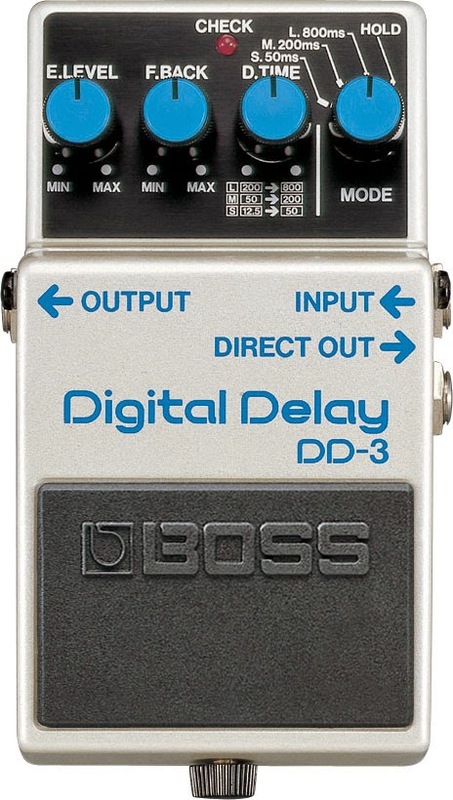 It provides a classic, robust digital delay effect that simply does the job well. With a few different settings and parameters you can dial in a range of sounds quickly that go from short, ‘slap-back’ Country style to long ‘swells’ that you can make last forever. It’s easy to use and there are ample sounds to accommodate a number of styles and songs. Have you ever heard the difference between a Fender Jazz Bass and Fender Precision Bass? They're quite different to listen to, to play and even to look at! Check out this short demo video so you can hear the tonal difference for yourself! To a veteran of the bass this may seem like an easy question to answer but if you’re new to it or you just can’t see much difference between them then there’s quite a few features on each that offer different sounds, feel and playability. 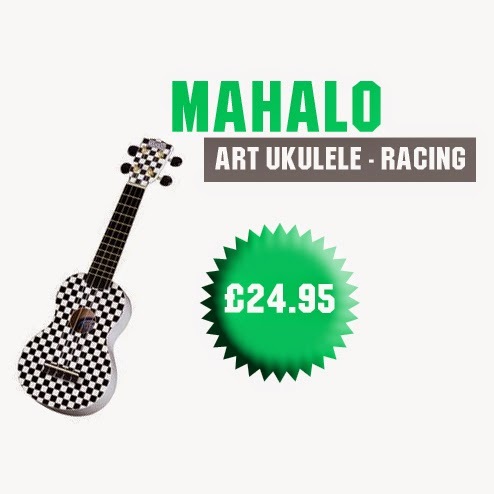 We've seen a huge boom in Ukulele sales recently as the popular tiny, little mini guitar style instruments have taken off among children, adults, grandparents and yes, you guessed it....EVERYONE! It seems this little instrument has welcomed itself into our day to day lives to bring us a touch of Hawaii and quite simply, who couldn't be whisked away on a big smile adventure to that tropical paradise whilst playing and listening to the beautiful tone of these magnificent musical mini guitars. We heard in the news this week that sales of Ukuleles in Britain have doubled to around 250,000 over the past five years and we're pretty sure that soon it will be overtaking those recorder lessons in schools as more and more children start up fun Ukulele clubs and the adults move onto those great little local community clubs, just round the corner. They're pretty easy to learn with just four strings and the soft nylon texture means we don't blisters on our fingers. Hooray!! Received mine today. Thanks to Guitarbitz for the lightning fast turnaround time and for your brilliant 12 point check...the guitar plays beautifully! It's a basic guitar (no gloss finish, one pickup etc) but I have five other guitars already and just wanted a simple guitar to use for slide....and it looks very cool!!! Might not be suitable for a beginner as the neck is reasonably chunky (it's not huge but there are certainly other guitars out there with slimmer necks.) My only slight disappointment is that the guitar has a cheap looking logo on the headstock, with a white surround...completely different from the one on the guitar, pictured. Nothing to do with Guitarbitz, though, who are the best guitar store in the UK!!! As a Bass player and occasional guitarist, who needed an electric guitar for some home recording, I bought this from Guitarbitz at the weekend, and spent large chunks of Sunday playing it. Terrific value for the price, plays well, sounds good, and I love the look, although perhaps not to everyone's taste? Vintage make great value guitars and basses. Worth trying! Kudos to Guitarbitz too. Good service, even on a busy Saturday morning. Here at Guitarbitz we are always looking to expand our range and in recent months we are now stocking lots of new, Electric, Acoustic and Bass guitar strings as well a those for Mandolin, Banjo and Ukulele. We now stock not just the run of the mill popular strings, we have branched out into some of the more unusual gauges and materials used by the top string manufacturers. Here are just a few of the new ones we have in stock - to see everything we have, just visit our Guitar Strings page of our website.